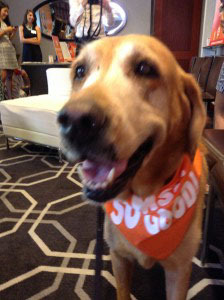 This week I was treated to a unique experience, a trip to the city with my four-legged friend Finnegan, courtesy of IAMS. There have been nights — rare nights — that all five of our kids are sound asleep. “At last!”, we think to ourselves, we are ALL going to sleep through the night! And then it begins. Finnegan scratch, scratch, scratches, with his collar jingle, jingle, jingling and there we lie, wide awake, tossing and turning. Something is keeping him up. And that something is keeping us up. And that’s no good at all. Believing that “something” is very likely found in his food, I was game to give the new IAMS SO GOOD! brand a try — I’ll give anything a try if it will help me (and Finn!) sleep through the night! Our family is a firm believer that “you are what you eat.” We do our best to eat locally-sourced foods and splurge on organic fruits and veggies when we can; we belong to a CSA and enjoy family trips to our farmers market on Wednesday evenings. My husband is a hater of high-fructose corn syrup and we try to stay away from processed foods. 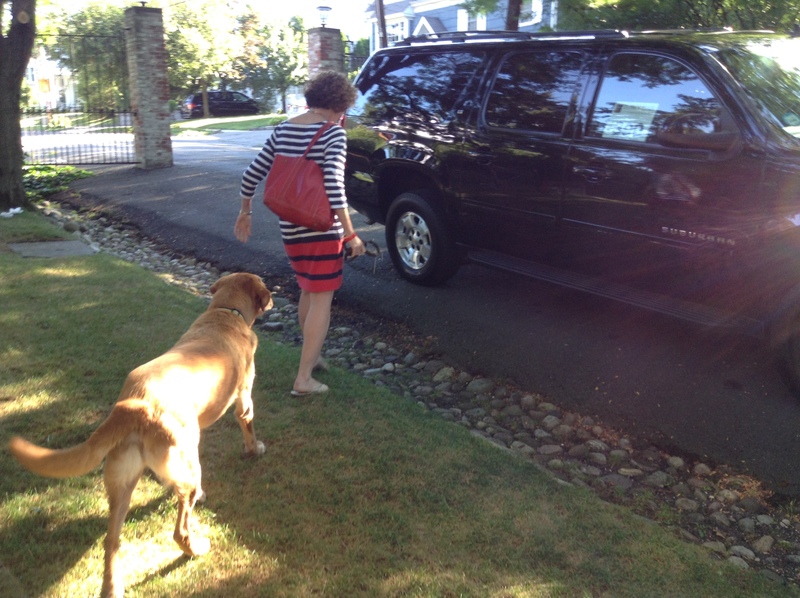 Don’t get me wrong – we’re not health nuts. We do enjoy the occasional Doritos, Oreos and other “junk” food. But we try to avoid it. And, as it turns out, perhaps Finn should too. 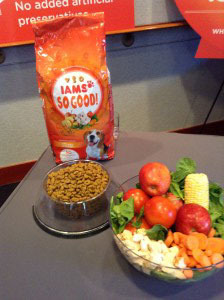 While at this IAMS event, my eyes were opened to just how much “junk” is really in some dog food. Added sugars, dyes and artificial preservatives. It kinda makes me itchy just thinking about it! Ew. 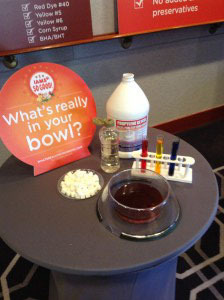 These nasty things could be in your dog's bowl. And Finn's too! The new SO GOOD! dog food leaves out that bad stuff and fills the bowl with good stuff — natural stuff like chicken, veggies and fruit. They even had Oprah’s former chef, Art Smith on board, talking about the value of wholesome foods. As he put it earlier this week, “the more wholesome, the better.” I couldn’t agree more. For people and for pets too. NOTE: This is a sponsored post for IAMS.